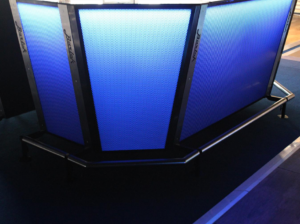 So, you’re looking around your living room or office and trying to imagine where all the people will sit. Even if they stand it’s going to be cramped, right? If this is you during each year’s festive season it’s time you change your perspective. Don’t look inside the room anymore. Your solution lies outside. 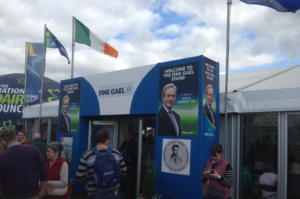 Or rather, you can create it outside by simply hiring a marquee. Here’s why those in the know often use these stylish tents. 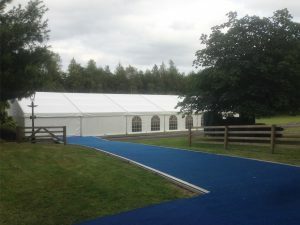 Your outside event can be a dry one no matter the weather since marquees are weatherproof. – They’re often more budget friendly than hiring a venue or transforming another room. o With no other furniture using up floor space you can place exactly what you need in terms of tables and chairs. Here’s the last benefit, unknown to many: Contrary to belief, these marquees are remarkably easy to heat, making them perfect for cold seasons too. So, where will you use yours? Not sure yet if this applies to your scenario? Let’s count down some possible uses to help you get creative. When you’re catering for the entire office you need space for their partners too. Don’t even think of squeezing them into a boardroom. Whether your available space is on the sidewalk, in the garden or the local school’s sports grounds you can give everyone a spacious area to reminisce about the past year. Make it even more fun by asking everyone to dress up according to a theme. Decorate the inside of the marquee accordingly for the perfect backdrop to selfies. 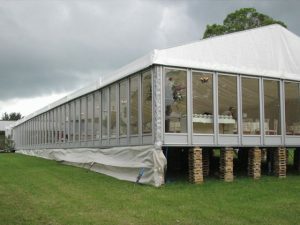 Inside a marquee, there can be enough space for a stage and speakers can be hung high enough to produce quality sound. That means you can have a live band or people making speeches and the crowd will hear everything clearly, without distortion. If you prefer a more formal event—whether for your friends or colleagues—a garden can be the setting for a magical Christmas dining experience. 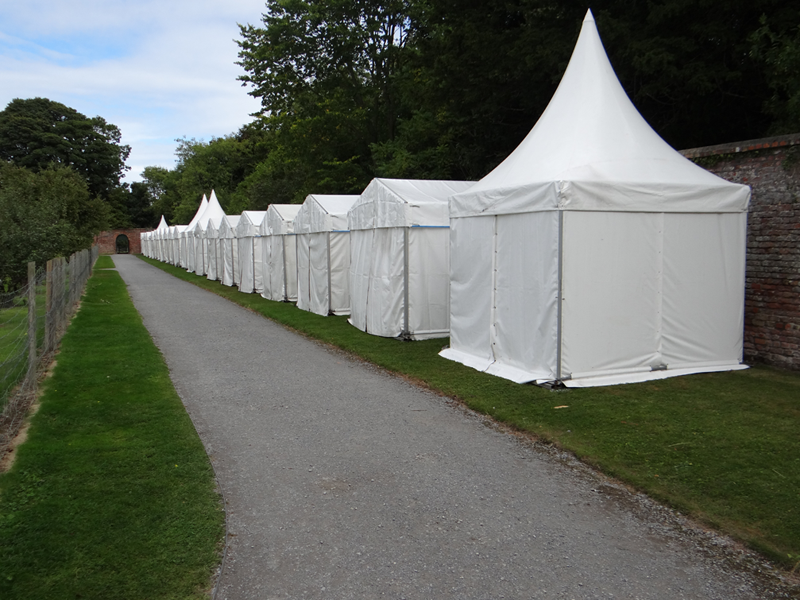 Hire a small tent for caterers’ equipment if necessary so food doesn’t have to be transported across long distances. 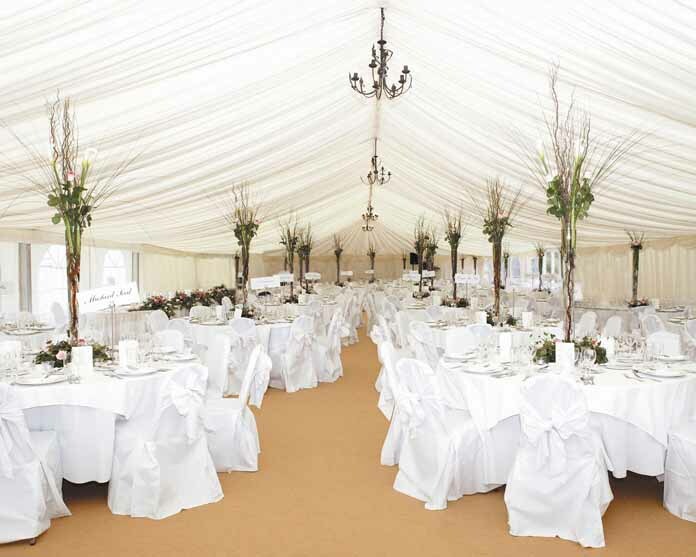 You can set up the ideal event venue by combining different sized marquees. The festivities don’t stop after Christmas though, do they? 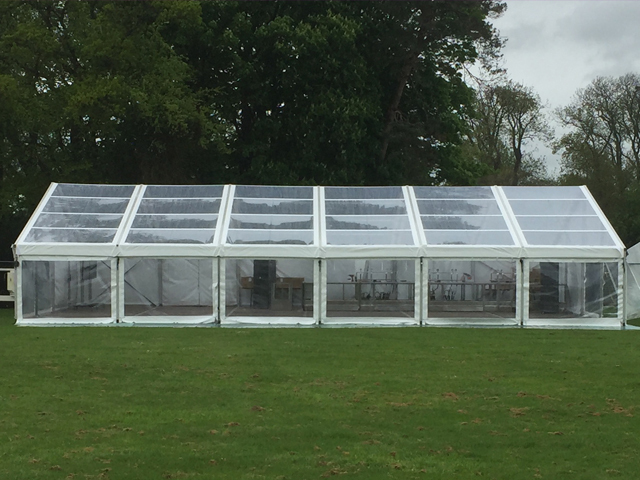 Hire your marquee for a week and have your New Year’s party there as well. Set it up in a garden area and when the clock strikes 12 everyone can go outside to look at the fireworks. With the amount of traffic on the roads during these busy nights, it’s much safer and convenient to celebrate at someone’s home or office. But of course, it has to still feel like a party. 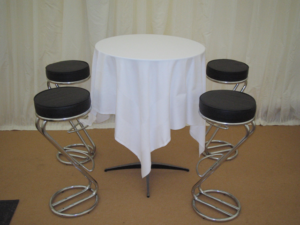 A marquee gives you the chance to create that environment. Long term hires can be accommodated according to your needs, so why not consider this solution the next time you organize your church, school or community Christmas market? There’s no limit to the number of stalls you can have, apart from how much space you have available. 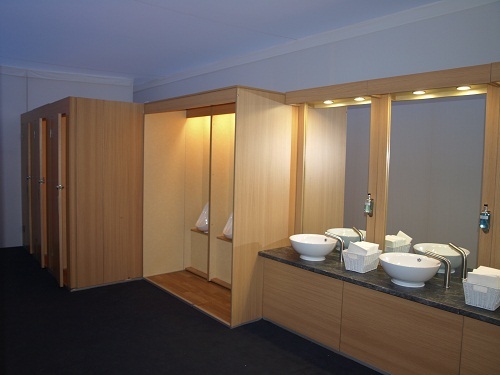 Why not simply change the venue, hire a sports field and see your project grow each year? That’s the best thing about marquees: The versatility. With all that space available there’s no stopping you now: This year’s parties can be legendary.